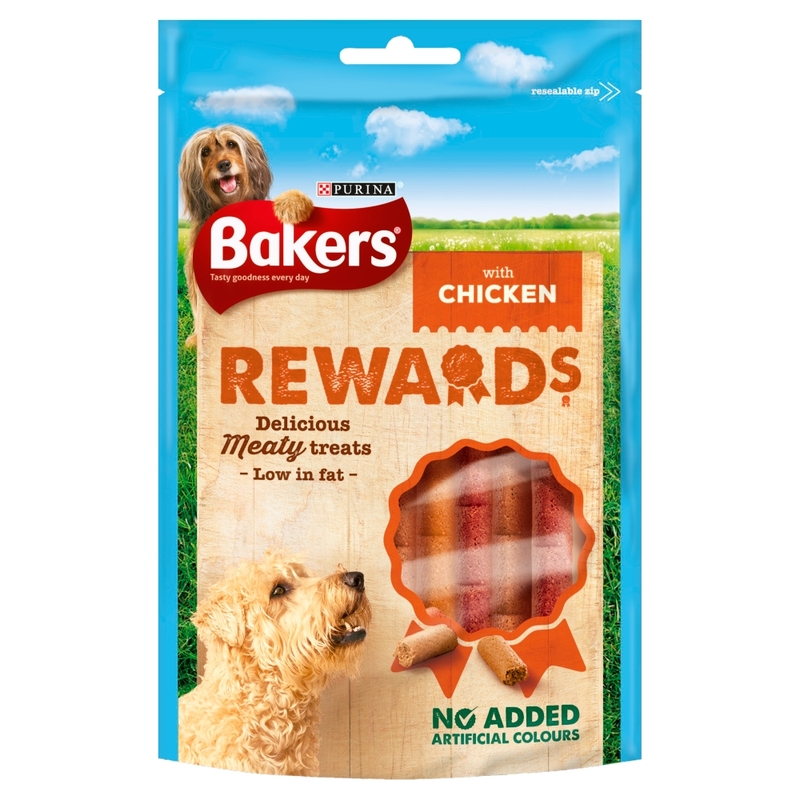 Bakers Rewards are specially developed to be the perfect treat for any dog on any occasion. They are an ideal size for your pocket and can be easily broken into small sections to give as rewards whilst walking or for praise whilst training. Not only will these treats reward your dog but they will support his overall health and encourage vitality. Bakers Rewards, available from VioVet, contain vitamins and antioxidants to support overall health, natural defenses and energy levels. Additionally, omegas 3 and 6 will help to promote a shiny coat as well as healthy skin and high protein levels included in the formulation will aid muscle function and health. Meat and animal derivatives (min. 4% chicken), Vegetable protein extracts, Cereals, Minerals, Oils and fats, Derivatives of vegetable origin, Vegetables. Meat and animal derivatives ( 5% chicken ), Cereals, Vegetable protein extracts, Minerals, Milk and milk derivatives, Oils and fats, Derivatives of vegetable origin, Vegetables. Meat and animal derivatives (meat min 20%, 4% Beef (in the red stick), 4% Chicken (in the light stick) and 4% Lamb (in the pink stick), Vegetable protein extracts, Cereals, Minerals, Derivatives of vegetable origin, Oils and fats, Vegetables. Please adjust the main meal accordingly. Fresh drinking water should always be available. Supervise your dog when giving him/her the treat. Product not suitable for Puppies younger than 3 months! There are currently no questions for Bakers Rewards Dog Treats - be the first to ask one!